TUMWATER – Dr. Jim Unsworth (see photo ), deputy director of the Idaho Department of Fish and Game, was chosen today as the new head of the Washington Department of Fish and Wildlife (WDFW). The Washington Fish and Wildlife Commission voted to select Unsworth after interviewing eight candidates for the director’s position in December and narrowing the field to four finalists. The commission, a citizen panel appointed by the governor to set policy for WDFW, announced its decision at a public meeting Jan. 9-10 in Tumwater. Unsworth, who will replace Phil Anderson, formally accepted the job today. Commissioners said they sought a visionary leader with a strong conservation ethic, sound fiscal-management skills and the expertise to work collaboratively with the commission and the department’s constituents. As director, Unsworth will report to the commission and manage a department with more than 1,600 employees, and a biennial operating budget of $376 million. His annual salary will be $146,500. Unsworth, age 57, has spent more than 30 years in wildlife management with the Idaho Department of Fish and Game and has served as deputy director for the agency since 2008. 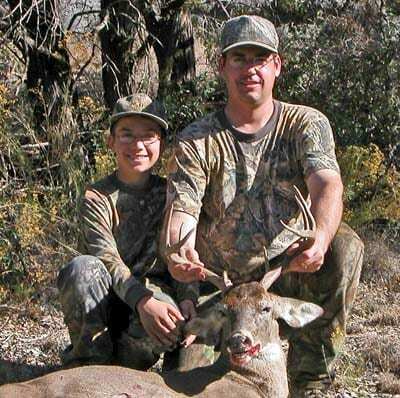 He previously held several management positions for the department, including wildlife bureau chief and state big game manager. Unsworth holds a bachelor’s degree in wildlife management from the University of Idaho, a master’s degree in fish and wildlife management from Montana State University and a doctorate in forestry, wildlife and range sciences from the University of Idaho. Unsworth and his wife Michele have four adult children. He is an avid hunter and fisher. Unsworth will replace Anderson, who announced in August he was resigning from his position at the end of 2014. At the commission’s request, he has since agreed to stay on as the head of the agency until a new director is in place. Wecker said a statement of appreciation for Anderson will be posted in the next week on the commission’s webpage at http://wdfw.wa.gov/commission/ .